Wake turns traffic monitoring into sharing, using other driver's messages to help those further behind on the same road. Waze (aside from a cute play on the words “ways”, “haze” and “daze”) is a travel app thats functionality depends on its users. Essentially it is a community-driven tool that reports traffic, accidents and other convenient navigations in real time. The app was designed by Israeli developers in 2008 and has since been bought by Google as of 2015. Also in 2013, Waze was awarded Best Overall Mobile App at the Mobile World Congress. The app was developed in Israel. Wake screen shot shows how other people help strangers by pointing out accidents and the app reroutes you to avoid tie ups. It's now part of Google Maps. 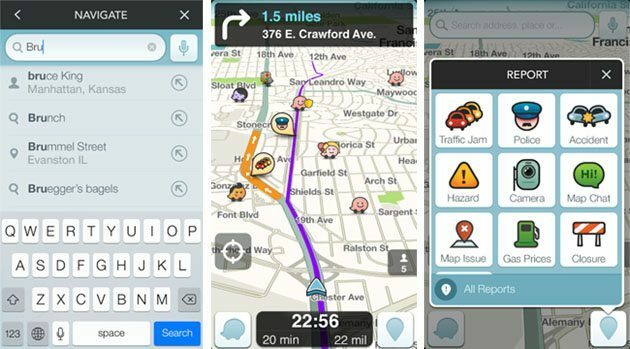 Waze’s contributions come from the very users of this handy app, themselves. They have the app open while driving and report traffic in the local areas, speed traps and any accidents or other police reports as they happen. Not only do the users contribute first-hand what current driving conditions are, they can build/edit the maps and report which gas stations have the best prices as well as point out their locations. Since Waze only has 13 countries with full-base maps, the development of more maps around the world relies on critical mass of users. The app encourages map-building/editing by using a point-system. The more traffic and hazard reports a user adds, the more points they can earn. Also, cupcakes are marked on less-developed parts of maps that drivers can earn more points for if they “drive over” the cupcake. 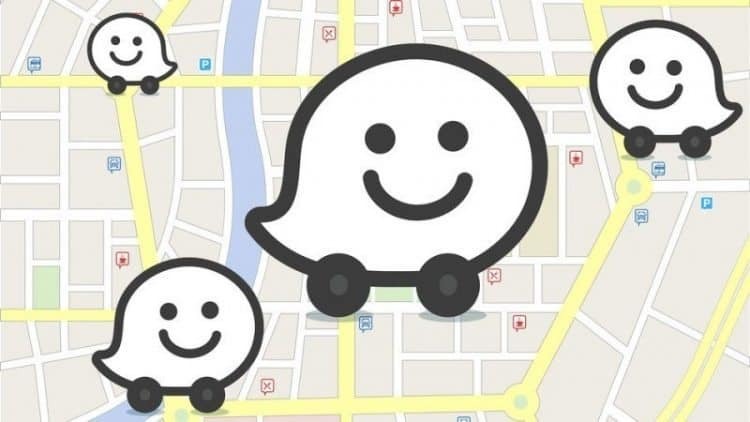 In addition to finding gas stations and avoiding traffic jams, Waze highlights nearby points of interest such as local street festivals or protests in real time. Just as well, the app shows other users within one’s vicinity, so it is a great tool for meeting up with friends. Other great perks include the lovely price of FREE and compatibility with Androids, iPhones, Symbians, Blackberry 10s, Windows Phone 8 & Windows Mobile. The only downside noted for this tool is the hazard of using a mobile app while driving. Safety advocates have raised concern over the constantly-updating reports and icons that can distract users while they should be paying attention to their driving. Another “feature” (although not necessarily a downside, but seemingly irrelevant to the app, itself) is that users can play virtual soccer with each other via Waze to earn more points. More points=higher status among Waze community.